We repair and replace windows to shower doors and custom table tops to fireplace glass. From our attire to our customer service, we’re ready for the job. 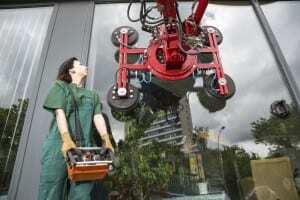 Our quality services include custom cut glass and factory fitted-glass. Bring your glasswork in to save and get a quote in minutes. City Glass has been servicing the Greater Spokane and northern Idaho area for over thirty years. Since 1984, the Hendren family has provided friendly, speedy, and high quality glass repair and replacement services for homes, storefronts, and heavy equipment. Hendren’s daughter, Marcy, and her husband, Beau Roberts, continue to preserve his vision of quality services, a fair price, and an exceptional customer experience from the convenient Hillyard Industrial area location.